Shut Up. I'm Not Obsessed With David Tennant. But, I am a bit of a obsessive about details. And I'm really thrown-off when a commercial featuring an actor with a very asymmetrical face has half the footage flipped to a mirror image. Because you can tell something is off but, even if you don't notice that his part flips from one side of his head to the other within the ad. 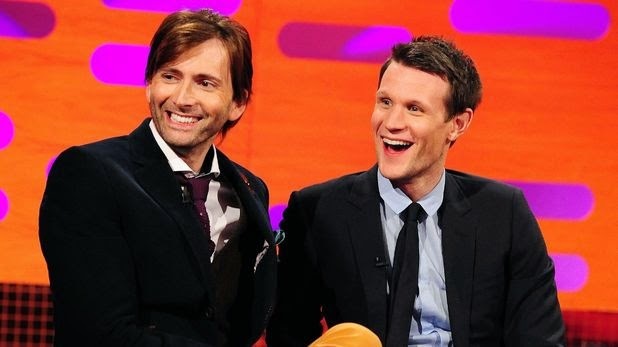 Or even if you don't know that David Tennant arches his left eyebrow and not his right- you can tell something's off. It's not just me, right?! Anyway, they probably flipped the footage because they could only find cars that were built with the wheel on the left-side. Or it was shot while he was in Canada. Or both. Then again... it's all green screen. Why not just green screen a different car in? Three episodes of Penny Dreadful have aired and I'm starting to realize that the show won't give enough for me to form an opinion on it until the end of the season finale. Because that's how this crap works these days. I mean, the acting is great. Timothy Dalton is growling all over the place and Josh Hartnett is proving that he's more interesting as he ages out of the teen heartthrob look. Eva Green looking great in Victorian dresses. And Billie Piper. I will follow Billie Piper where ever she may go. Even if most of her scenes seem to involve her being naked. I even like her Irish accent. But there's too much going on. Frankenstein is having weird slightly-romantic relationships with his creation(s). There are vampires and demons and mystery upon mystery upon mystery upon mystery. And... it's a bit too much to care about. It's a lot of talking in riddles and about things rather than experiencing them. Also... ugh, enough with the copious blood splatter scenes. I should like the show. But I also didn't care for NBC's Dracula. Maybe I'm just done with Victorian horror. Sadness. I've been asking myself this question since the first trailer came out, possibly a year ago. I mean, I loved X-Men: First Class. A LOT. And I really really liked The Wolverine (except for the silly climax). And, as weird as it sounds and as unpopular as this opinion might be... I liked Bryan Singer's Superman Returns. It's a really pretty movie. So, that should erase all ill-will I have from X3 and Wolverine: X-Men Orgins, right? This is fixing the old franchise and tying it into the new, right? The cast is amazing, right? I just... can't, though. Not after seeing the trailers. And the corporate tie-ins. Something feels... askew. Too removed from reality. 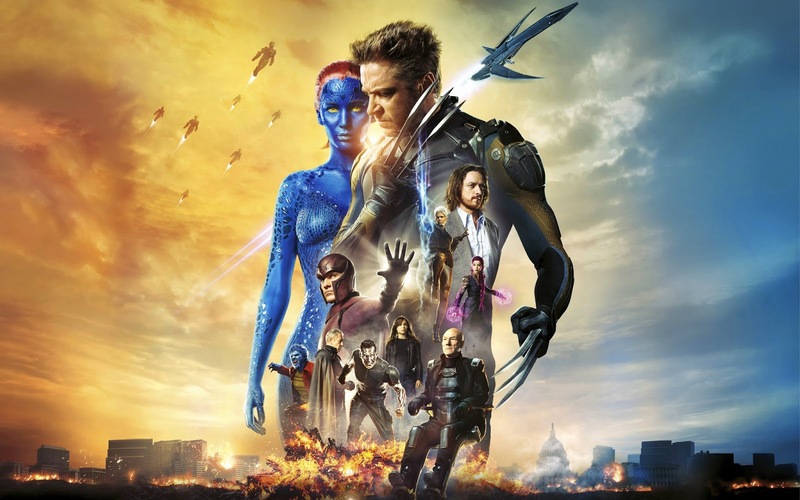 Too removed from the mood of either version of the X-Men franchise. Maybe it's because the whole "save us from this apocalyptic future" thing is exhausted (in my opinion). Maybe it's because it feels like a money grab. Maybe it's because I sort of have this inkling that when First Class did well, Singer suddenly felt a little jealous for only being involved on an executive producer level and wanted back in on the glory and pushed Matthew Vaughn out of the director's chair. Which was stupid, if you ask me. Just like it was stupid when Singer was ousted on X3 because of hissyfits over him doing Superman Returns. X3 was a weird parody of the universe Singer had developed in the first two films. And I fear that Days of Future Past will be Singer trying to not only re-claim things too late in the game, but also try to partially parody Vaughn's new universe. Because Vaughn and writer Jane Goldman brought a very specific (and very British) tone to the film. A tone that appears to be present in the trailer for their other 2014 comic book movie- Kingsmen: The Secret Service. A movie which I AM very excited about, thankyouverymuch. A tone very different from Bryan Singer's tone, no matter how much involvement Singer had in First Class. But don't judge a book by it's cover and don't judge a movie by it's trailers & posters. Right? And... Dinklage! Lawrence! McAvoy! Jackman! Sir Patz & Serena! Gah, that's a terrible poster. I'm conflicted. Someone convince me one way or another. 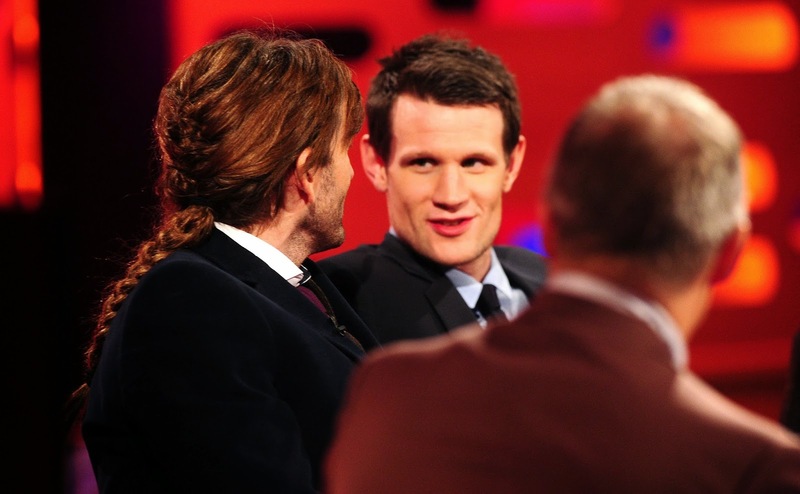 Listen, David Tennant has, historically, really great hair. 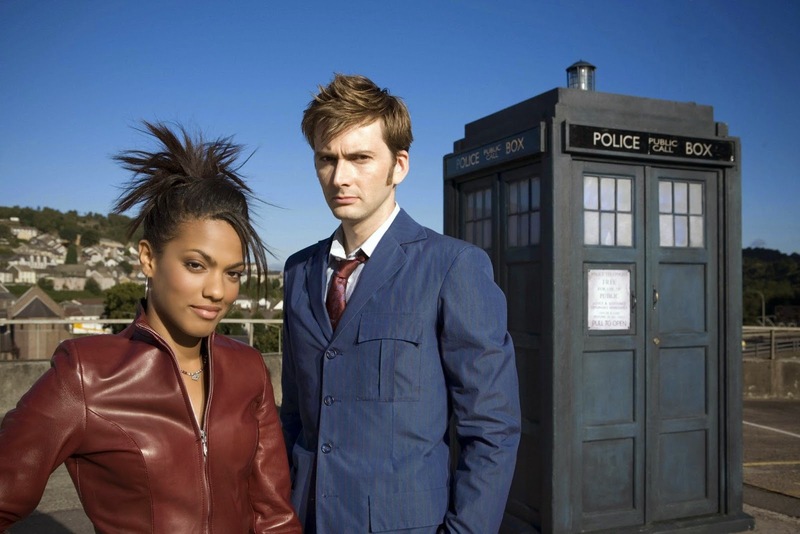 To the point where in the Doctor Who episode "Turn Left", Rose Tyler even describes the tenth Doctor has having "really great hair". Fact. 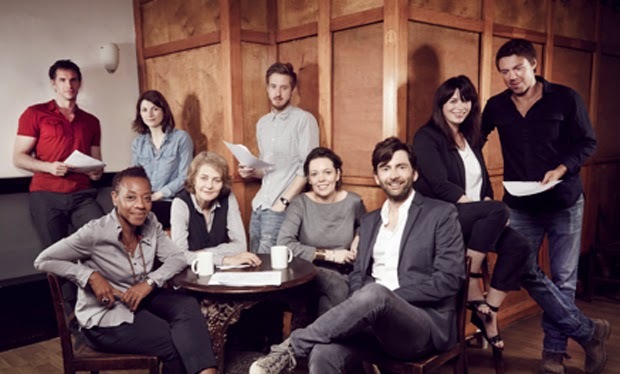 So, when six months go by of Mr. Tennant having sub-par hair and there being a lot of pictures of him with such hair, it's sad to see. 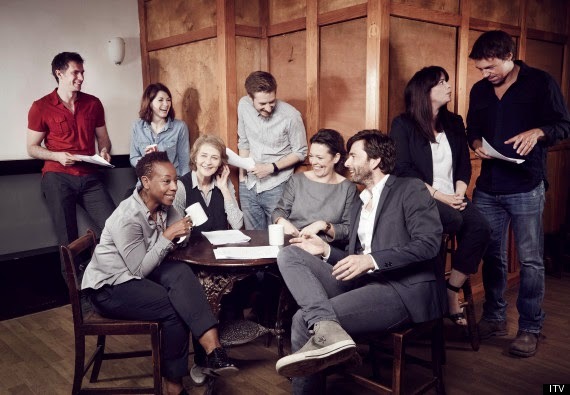 But, from the looks of things in the pictures from the Broadchurch 2 cast reading, his hair is finally back in Olympic form. Or, I'm just so hopeful that his hair would be better for the show that I'm seeing fresh layers happening. Either could be true. But I chose to believe that it has been improved. It may not look like much, but it's a much better cut than what he appeared to be sporting while shooting the American version of the show, Gracepoint. 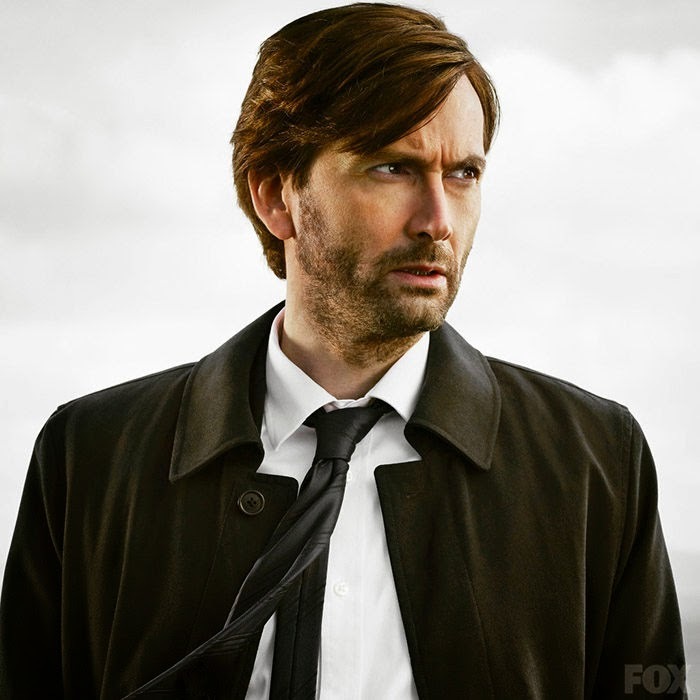 The Gracepoint hair is just so... flat. 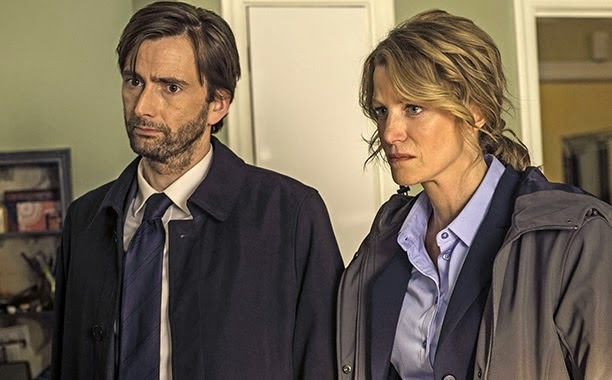 The Gracepoint hair was a bit of a let-down (to me. This is all about me and my opinions of a stranger's hair) when pictures starting being released, as I was hoping for him to have made a bigger improvement from the dark era that involved extensions for Richard II. Instead, it appears that they just took the extensions off him and sent him across the world without so much as a maintenance trim. 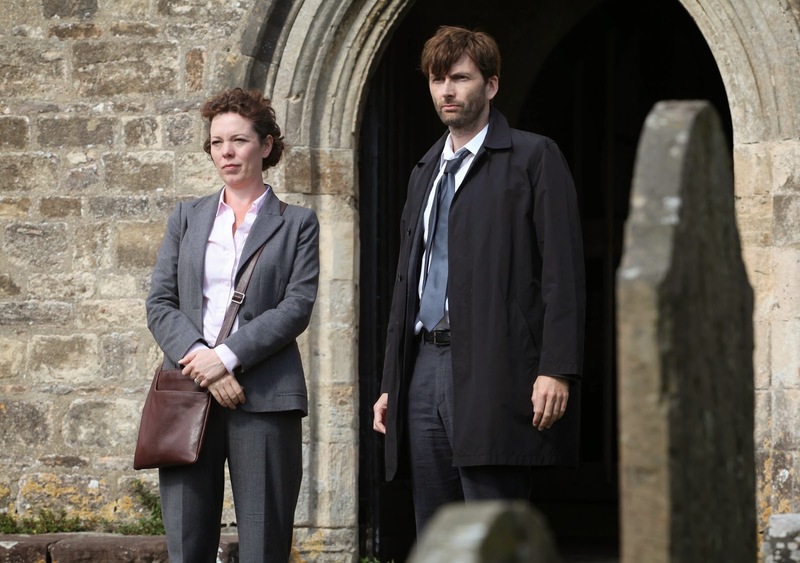 Which was disappointing because his Broadchurch hair was so... nice. Gah, this post is pathetic. I apologize. I've been outlining a story for a screenplay for a couple weeks now, and it was really flying. I was reaching the homestretch for outlining and almost ready to start really working on the script. I was really excited because the story wasn't running away with the plot, it was working in the way I had hoped it would, and I was restraining any overly crazy whims that came along. It was a small story and staying small. It was bittersweet but had some funny moments. It was going to require a giant budget for music rights if it ever saw the light of day. And then I paused on it for a few days, because life got busy and I was just a little bit stuck on a big revelation for one of the characters. Then, yesterday, I was in my car and thinking about it and suddenly realized what the problem was. I need to turn my male lead character into a woman. It makes the dynamic with the existing female lead character so much more impactful and meaningful. But, dammit, I had a specific actor in mind and everything for that role! Also... hello, internet! You have no idea how many unfinished draft posts I have started since I last successfully posted to this website! I'm still here! just not good at finishing things. And now I need to think about everything that will change now that I'm writing a story about two women.